Size of this preview: 648 × 600 pixels. Other resolutions: 259 × 240 pixels | 856 × 792 pixels. 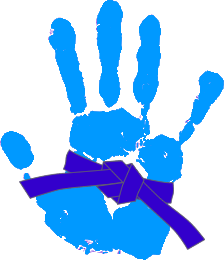 The Blue Belt badge is awarded to volunteers after three years of contribution and satisfactory completion of their annual appraisal. This file is licensed under Physiopedia's own license. 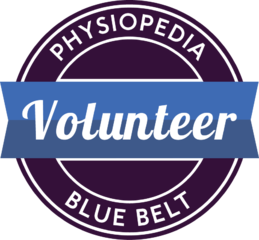 You may only use this badge if you have received it as an award by Physiopedia the administration team. 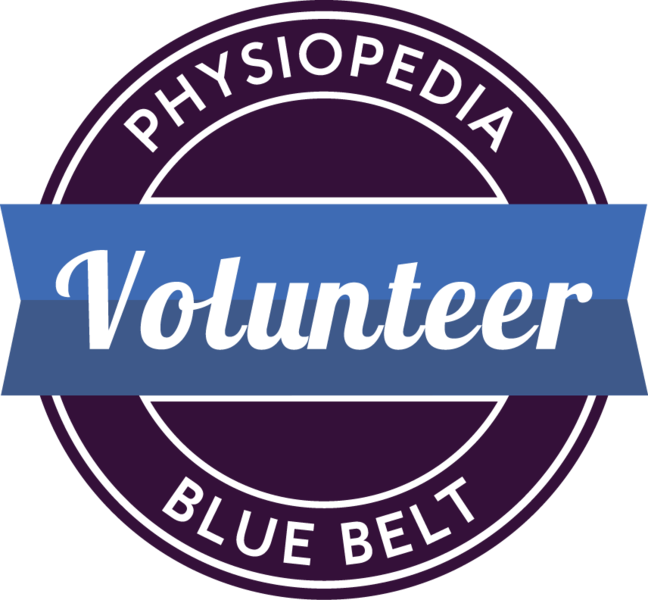 Add to your Physiopedia profile. Display on your own website or blog. Share on your social media network. Reference in your CV or portfolio.